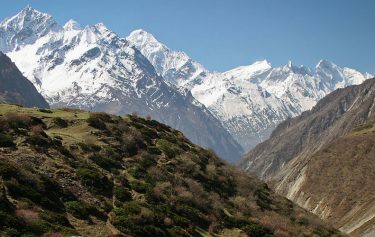 Rolwaling is the east –west valley below Guri Shanker (7145m), just south of Tibetan border. 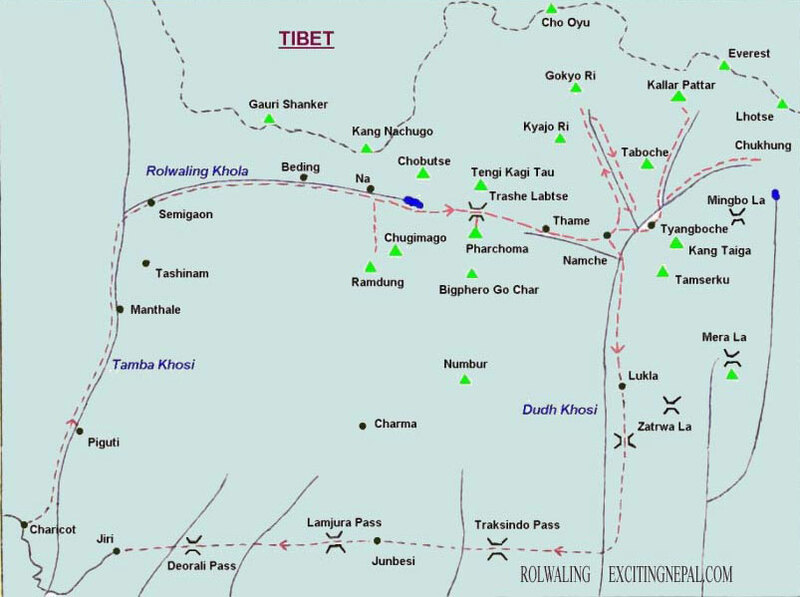 Most of the villages you will cross through the Tibetan but some part below 2500m there are mix culture of Bhramen, magar , Sherpa and Chheteree ethnic group. This is an isolated and culturally diverse area. Rolwaling trekking concludes into Khumbu Valley after crossing the Tashi Lapcha pass (5755m). 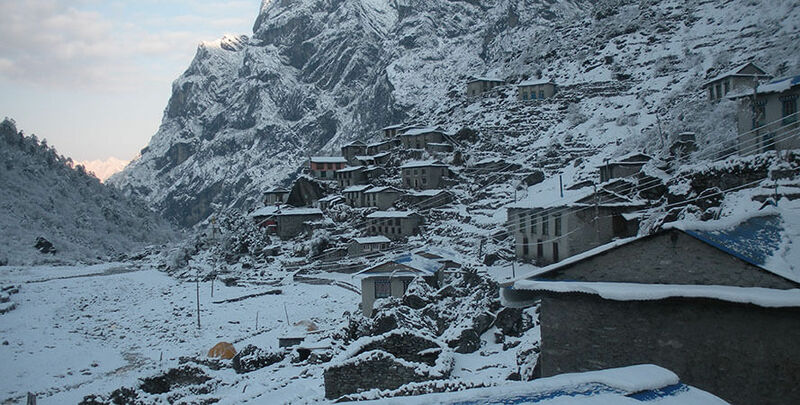 Some people start their trek from Khumbu. But the other way we operate your trek from Barebeshi is comfortably ascending from the low altitudes, which give you enough days acclimatised as well as for your physical fit. This is one of the vast diverse trekking culturally and naturally. A Rolwaling trek offers you Mt. Everest and views of Gokyo Valley. 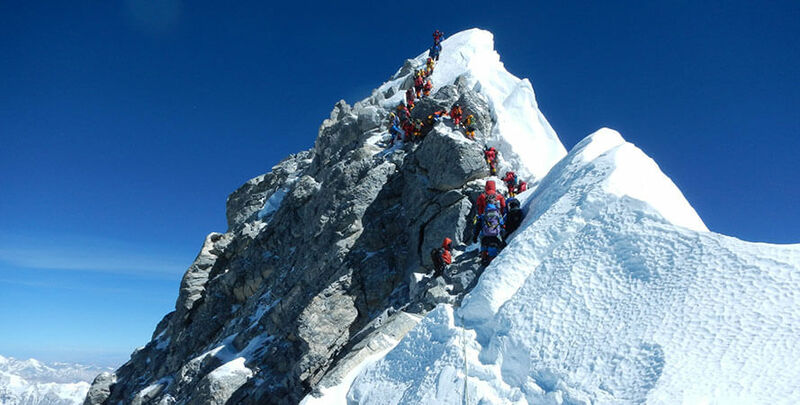 To do this trek you should have at rock climbing experience, if ice climb experience will be much better. A very fine but strenuous camping-style expedition can be made through the Rolwaling Himal to cross the Teshi Lapcha La (5755m) and into the Solu Khumbu. The trek must be properly equipped for extensive snow and ice work, with at least one climbing Sherpa in the party. The net result will be very rewarding in terms of cultural exposure and visual drama. 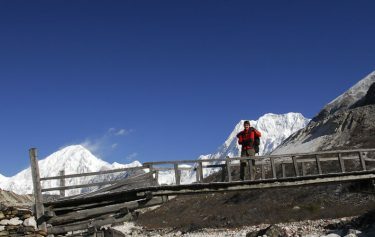 Even though you may not intend to climb the mountain, a climbing Permit will be required for Patchamo (beside the Teshi Lapcha) to allow access to the upper part of the valley beyond the Tsho Rolpa. 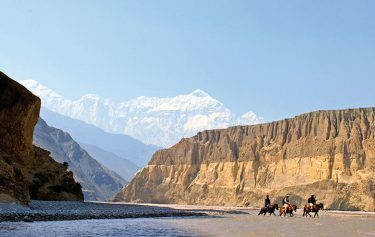 Scenic drive to Charikot, Tamakoshi river,Dolkha Bhimsen Temple,mix culture, Mt Gauri Shanker, Rolwaling sherpa village, tso rolpa lake trashi lapcha pass, khumbu himalayan ranges. Day 01:Drive from Kathmandu to Dolakha(1350m) by Jeep or bus (6 to 7 hours). Day 02:Trek from Dolakha to Shigati(950m). by Jeep or bus (6 to 7 hours). A bit easy medium day. Walking through the this Sherpa village. The first part of the trails follows normally flat path, then it ascends and descends through the jungle. you cross through suspension bridge. Find small teashops and local shops at some of the places. Steeply climb up to Simigaon, a village inhabited by Buddhist and few Hindus. 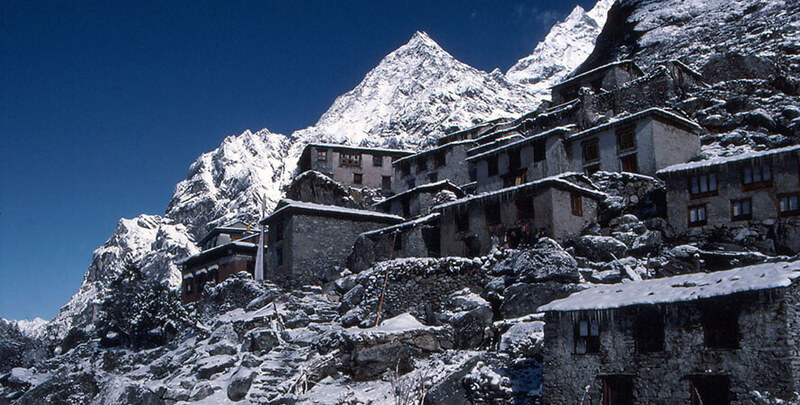 come across the Sherpa villages. The uphill trek is rich in different varieties of plants and Rhododendron trees. After the uphill trek you will now come across ascending and descending paths while enjoying the scenic beauty of the place. If it happens to be a season you will witness the Yak Naka a temporary Yak shed especially for the preparation of cheese and butter. The trek now ascends uphill through different varieties of plants and Rhododendron trees. You trek over the suspension bridges over the deep gorges in few places making the trek even more enchanting. 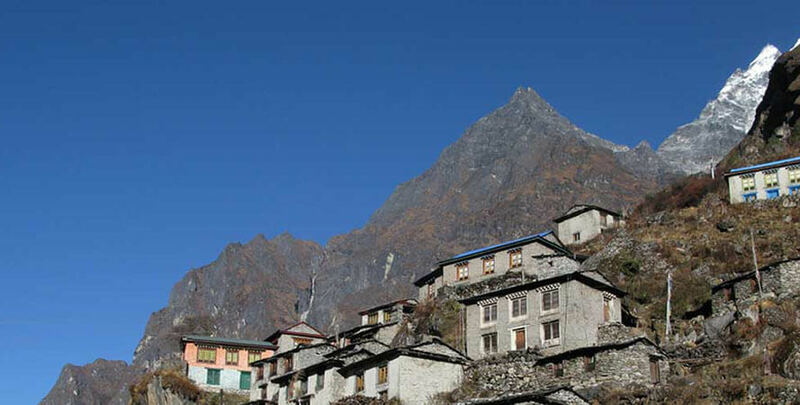 You finally reach Beding which is a big Sherpa village. Rest at Beding for acclimatization, you can hike in and around for acclimatization and have panoramic views of mountains like Mt. 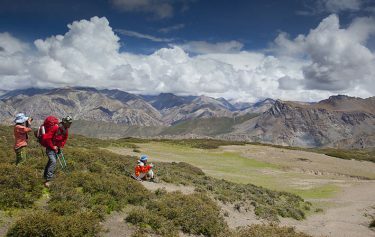 Gauri Shanker, Tibetan mountains of the Tibetan boarder. explore the upper slopes of the valley for Snow Partridge or a visit to the nearby glacier lake. The trek path slightly ascends along the river bank. The place is an open path with fresh air and the charming sound of the river. the panoramic view of the mountains as the trek moves forward. You will be able to witness the various views of mountains like Gauri Shanker, Menlung, Yalung and the mountains of the Tibet. You will be on a Yalung. Trekking through the flat and gradually up path. 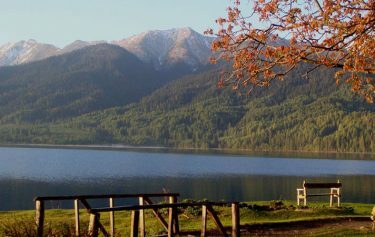 You will be able to witness the beautiful Natural Lake filled with the chilling water of the glaciers. 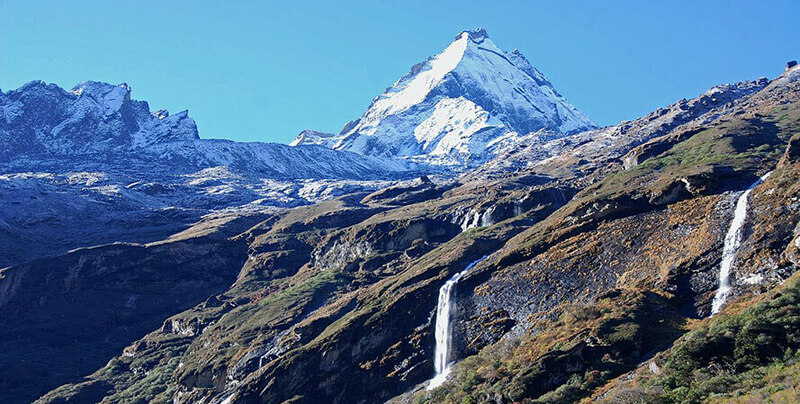 The views of Menlung and Tibetan Side Mountains add glory to your trek. Trek Tso Rolpa to Trakarding Glacier (4800m.) Early morning you will walk through the glaciers throughout the day and will be able to experience the new enchanting beauties that would add extra dimensions into your trial. Trek from Trakarding Glacier to Tashi Lapcha Pedi Camp (5755m.) The trail will still be ascending through some rock climbing and a gradual walk on the glacier. camp into Tashi Lapcha Pedi. climb up the Tashi Lapcha Pedi and cross the Tashi Lapcha Pass through Tashi Cape. The trial will completely be over the snow straight up and then steep down towards Tashi Cape. experiencing a bit easy glacier walking. The trail descends down towards Thyomgbo. Trek down to Thame. This trail gradually descends and you will have an added experience of easier trail and will be able to enjoy the natural beauty of the environment. Day 18:Trek from Namche Bazaar to Lukla. 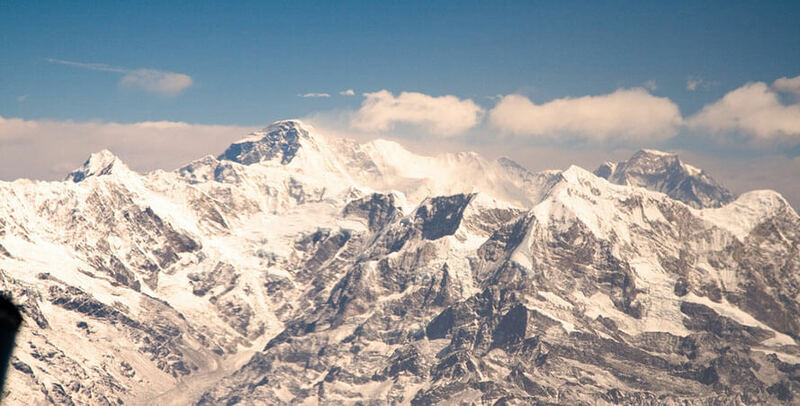 Fly to Kahtmandu for Next day (2886 m.): or hike up to Everest base camp. Activities in Kathmandu and other cities, such as sightseeing tour.